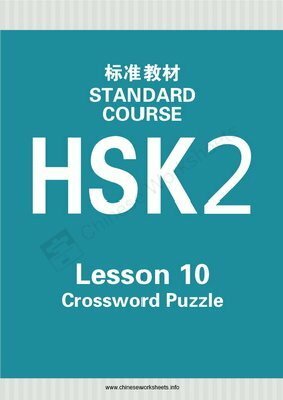 Printable Pinyin crossword puzzle for HSK Standard Course 2 (ISBN: 9787561937266) Lesson 10. For the best results, use A4-sized paper for your print outs. 2 pages in total. The solution is provide on last page.